Answering Innovations HVAC Answering Service | Live Telephone Answering Service, Messaging Taking, and Dispatching Service for Heating, Ventilation, and Air Conditioning HVAC Mechanical Contractors. In business since 1977, with roots in the live telephone answering service industry dating back to 1948, Answering Innovations has decades of experience providing high quality and professional phone answering services and messaging dispatching for the HVAC industry. 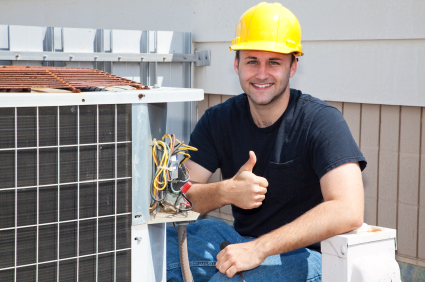 HVAC, plumbing, and service industries comprise a large percentage of our clientele. We have the experience you can trust. We understand that when your customers call they might not be in the best of moods. HVAC answering services ensure your customers will always reach a live and empathetic voice -- even if they call after hours. Provide your customers round-the-clock service to boost customer service levels and give your customers peace of mind. Live answering service operators are available to assist clients day or night, twenty-four hours a day and seven days a week. When an emergency strikes, your clients rely on you to be there and to act fast. The last thing they expect from an HVAC professional is to reach voicemail, especially in an emergency. That’s why we answer your calls and dispatch messages immediately. The sooner your on-call technicians receive the message, the sooner they can reach—and satisfy—your customers. Service every emergency, even after hours. Keep customers happy, gain referrals, acquire new business. Text message with confirmation for speedy acknowledgement of message receipt. Use our free online on-call scheduling software to input and manage your on-call schedule. Manage your own schedules online or email/fax us the information and our operators can input it for you. All changes occur in real time; operators are instantly and automatically provided access to the latest on-call information so messages are dispatched accurately and efficiently every time. In addition you can print and post the on-call schedules for your office. Our answering service operators will courteously and professionally answer any type of call and promptly dispatch messages for HVAC contractors, electricians, and plumbing contractors. We can dispatch messages to your on-call staff via any means of communication, whether it's email, warm transfer, cell phone, pager, fax, text message, or otherwise. We use a sophisticated scripting software package that lets us set up each HVAC answering service account with your specific needs in mind. You tell us who is on call when, and our system will make sure the right technician gets the message. Need emergency messages to be prioritized? No problem. Emergency messages will be dispatched and escalated through every available contact method until one of our highly trained dispatchers reaches one of your service technicians. We’ve been in the business since 1977. Experience has prepared us for everything. Let us assist you with all of your phone answering needs! Answering Innovations is "The Perfect Answer"